Cyberspace is a place where a person animates their dreams. They give a physical look to their thoughts only in this place. Even their animating methods have different conduct in media is to reach the public. 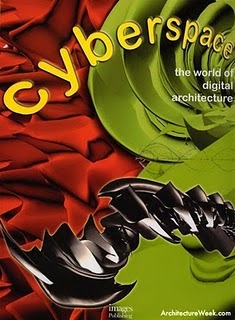 Cyberspace is an electronic networking medium of computer, where online communication takes place. Its domain of electromagnetic quickly identified with the interconnected information technology required to gained the wide range of system capabilities associated with the transport of communication and control products and services. For example online systems creates a cyberspace within which people can communicate with each other via through email, face book, yahoo etc or get news and information, or do shopping as well. Life became easier through cyberspace. Like physical space, cyberspace has some objects film, e- mail messages, and different mode of delivery. Unlike real space, exploring cyberspace does not require any physical movement other than pressing keyboard or moving mouse. Some computer game programs are designed to create a special cyberspace that resembles physical reality in some ways but defies it in others. In its extreme form, called virtual reality, at presented users with visual, auditory, and even tactile feedback that makes cyberspace feel real.